You've probably noticed over the last couple of months that the blog posts haven't quite been going up on time and that's because I've started my new university course. Today I have a fellow student sharing her top tips on how to balance working full-time (or university) and running a blog at the same time. It's amazing how many people make a living off blogging, so it's easy to forget how many more people do this on the side. I'm just one of many so I'm sure this post will help a lot of people. 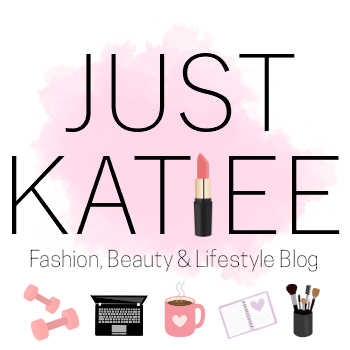 Katie from Just Katiee is a 24 year old event manager from the UK and has been blogging since 2014. Her blog focuses on all aspects of life, with bits of beauty, fashion, travel and home thrown in. She sounds very similar to me, so if you're even remotely intrigued, go check our her website and say hi! Katie started her blog during her placement year of university. She was working full-time, didn't post regularly and never really found a routine that suited her work life. When she went back to university for her final year, she continued to struggle so she made a real effort to focus on organising her life and she has now found a schedule that she can keep up with. Here's her top tips! I work in the Events Industry as an Event Officer by day so it's important for me to be organised at all times. 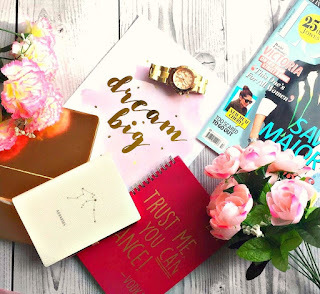 I've always been an avid list writer (I got that from my Mum) and this has helped me massively with my studies, within my career and with my blog too. I always try to plan ahead with my blogging. I like to sit down on a Sunday morning and plan my week ahead in order to work out if I have any important deadlines throughout the week! Prioritisation is the key to being able to succeed in having a full-time job or studying alongside running a blog. If I didn’t prioritise my workload I’d never achieve anything. I like to take it a week at a time and prioritise the key tasks or the earliest deadlines. The prioritisation works great if you plan ahead so you know what you’re working to! This is one of the most important things to do. Take time for yourself! Now I don’t always live by this as sometimes life just gets in the way and you’re too busy to think about yourself however even if it’s going to the gym, getting your nails done or simply just spending time with your loved ones. Make sure you get that time! If you're balancing uni and a blog then make sure you take each week as it comes. If I find that my posting schedule is going to be unachievable one week I’ll look to reduce the posts. I work off a 3 post a week schedule but it’s important to do what you feel is achievable! 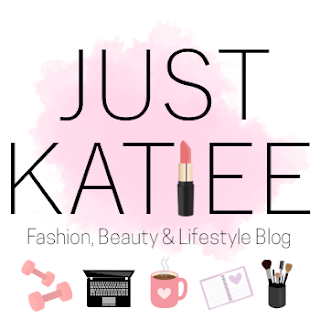 So those are Katie's top tips for balancing blogging and university or a full time job! Finally, she says to "remember to do what you feel is best for you and your schedule. It’s a learning curve and it might take a while to figure out. My schedule works well for me and if I find that it’s getting too much I’ll take a break and revaluate what needs to be prioritised." I love that! What works for someone may not work for you so it may take a little bit of trial and error to get it perfect. Do you have any top tips for balancing work/uni and blogging? Leave your tips in the comments below and don't forget to say hi to Katie.